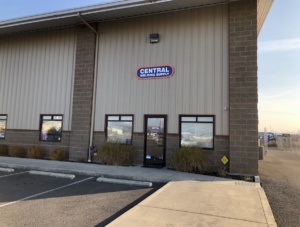 Dale Wilton, CEO of Central Welding Supply, has announced the acquisition of AXIUM Gases Northwest, establishing a new location for Central Welding Supply in the Medford, Oregon area. Effective Nov. 4, 2018, the new location at 1322 Antelope Road, White City, Oregon, expands Central Welding Supply’s reach of service to the Rogue River Valley in southern Oregon. AXIUM Gases Northwest was established by Bruce and Colleen Tozer, and had been a distributor of Central Welding Supply gases and hardgoods. “We’re pleased to add the AXIUM Gases Northwest team, including prior owner Bruce Tozer, to the Central Welding Supply team, and we are looking forward to providing AXIUM customers with a broad basket of our products and services —it’s a great fit for our company,” Wilton said. Medford, OR becomes Central Welding Supply’s 23rd retail outlet throughout Washington, Oregon and Alaska. In addition to hard goods and gases, Central Welding Supply has also recently expanded its Equipment Repair Division with another service location dedicated solely to gas apparatus repair and custom torch fabrication. Air Liquide to Build First World-Scale Liquid Hydrogen Production Plant in Western U.S.
Air Liquide has announced plans to build a liquid hydrogen plant in the Western United States that will have a capacity of nearly 30 tons of hydrogen per day — enough to supply 35,000 fuel cell electric vehicles (FCEVs). The company has signed a long-term agreement with FirstElement Fuel, Inc. (FEF) to supply hydrogen to FEF’s retail liquid hydrogen fueling stations in California. Air Liquide expects construction of the $150 million plant to begin in early 2019. Through this investment, Air Liquide will enable the large-scale deployment of hydrogen mobility on the west coast, providing a reliable supply solution to fuel the 40,000 zero-emissions FCEVs expected to be deployed in the state of California by 2022. The plant will also support other fuel cell vehicle and transportation markets in the region, such as material handling equipment, forklifts and heavy-duty trucks. The new plant is the first large-scale investment into the supply chain infrastructure needed to support hydrogen energy solutions for the energy transition.